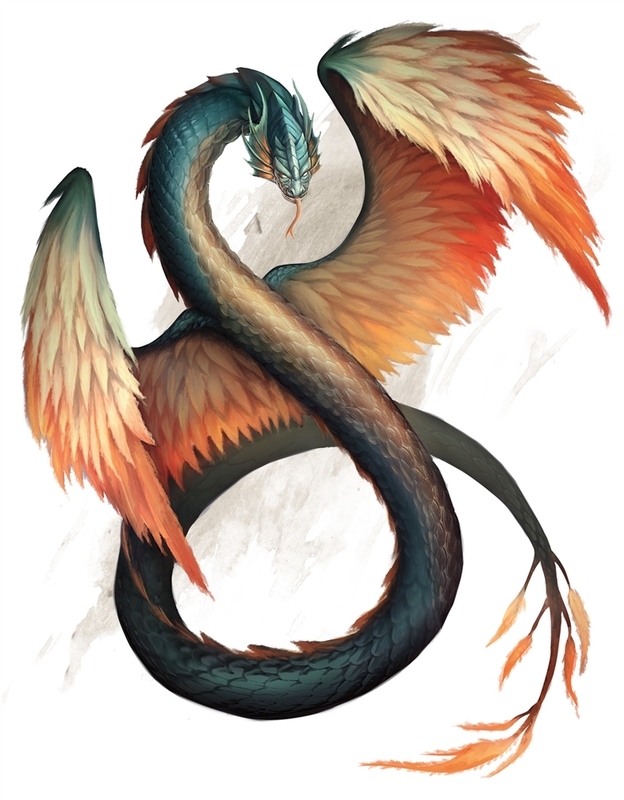 This is Abraxos, a mysterious individual we met on your last session of Dungeons and Dragons... who happens to be a Coatl. They healed the deeply sick mayor of a town we tried to save, and gave us one of their scales so that we can call them when evil lurks. The stained glass looking parts are beautiful,and the character design is really nice too,great job!